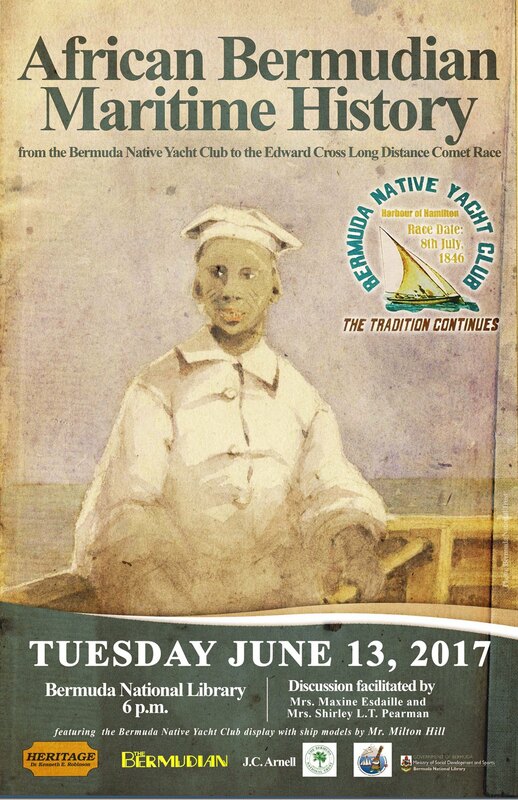 The Bermuda National Library will be hosting a lecture on “African Bermudian Maritime History, from the Bermuda Native Yacht Club to the Edward Cross Long Distance Comet Race” at the Bermuda National Library on Tuesday June 13th from 6.00pm- 8.00pm. “The discussion will be facilitated by Mrs. Maxine Esdaille and Mrs. Shirley L.T. Pearman. We will also feature a Bermuda Native Yacht Club display with ship models by Mr. Milton Hill. All are welcome and admission is free. Contact us at 295-2905, 299-0039 or kashakir@gov.bm for more information,” a spokesperson said.